Rebecca Hall received a BA from Stanford University and now works full-time as a freelance writer and editor, specializing primarily in the psychiatric and behavioral sciences and in translating scientific information for the general public. She has co-authored two books, ten psychiatric textbook chapters, eight journal articles, and has edited several additional publications. Her non-fiction stories have been featured in two literary events and a digital magazine. 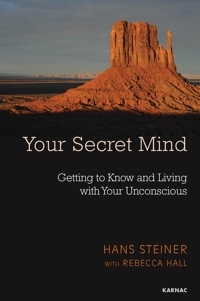 She is also Dr Hans Steiner’s Teaching Assistant for his Stanford Continuing Studies Course, Your Secret Mind: Getting In Touch and Living With Your Unconscious.